Research into organic and non-organic food shows wide-ranging differences. Organic food has been found to contain more antioxidants than non-organic food, as well as lower levels of toxic pesticides. The international team behind the study have suggested that by switching to organic fruit and vegetables we could get the same benefits as adding one or two portions of the recommended five-a-day. Led by Prof Carlo Leifert at Newcastle University, the team concluded that the differences are “statistically significant” and “meaningful”. The range of antioxidants in organic food was found to be significantly higher (between 19 and 69%). This study is the first to demonstrate clear differences between organic and non-organic foods. There has been an ongoing row in the nutrition industry regarding organic food, specifically whether or not it is better health-wise for people or not. This study has brought the long-simmering row to the boil, with one expert claiming the report to be ‘sexed up’. The results of the research were based on an analysis of 343 peer-reviewed studies from around the world that examined the differences between organic and non-organic food. Helen Browning, chief executive of Soil Association (who campaign for organic farming) says this research highlights the importance farming has on the quality of our food. Plants produce antioxidants when they need to fight against pest attacks – so the higher levels in organic food may be due to their lack of protection via chemical sprays. Scientists point out that other reasons may be important too, such as organic crops being bred for their toughness and not being overfed with artificial fertilisers. Sanders remains unconvinced by the study, saying that a person will not be better nourished by organic food. 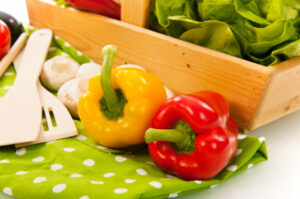 To find out more about healthy eating, you may find it helpful to speak to a nutritionist. Find out more on our healthy eating page.